that he keeps in our tipi. he makes a notch in it. In this beautifully written story by acclaimed author Eve Bunting, a young boy comes of age under the thirteen moons of the Sioux year. With each notch in his father's moon-counting stick, the boy marvels at the world around him, observing the sometimes subtle, sometimes remarkable changes in the seasons and in his own tribe's way of living. 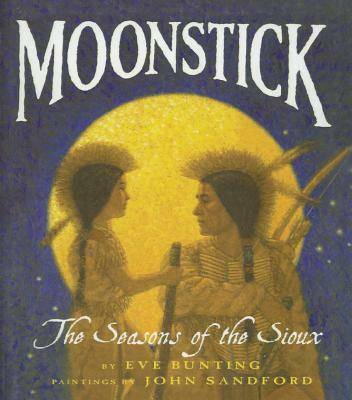 With rich and carefully researched paintings by artist John Sandford, "Moonstick: The Seasons of the Sioux" is a glorious picture book about one boy's journey toward manhood.